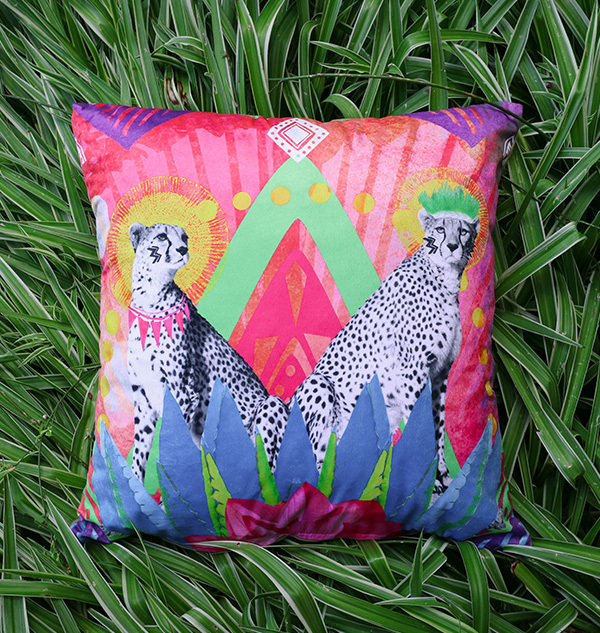 Each design with a story inspired by the designer's travel experiences, these luxury cushion are available to brighten up your living spaces. 6000/- each including handmade cushions inserts to have a perfect plump. Extra soft, velvety feel. Once you hug one you'll not want to let it go. 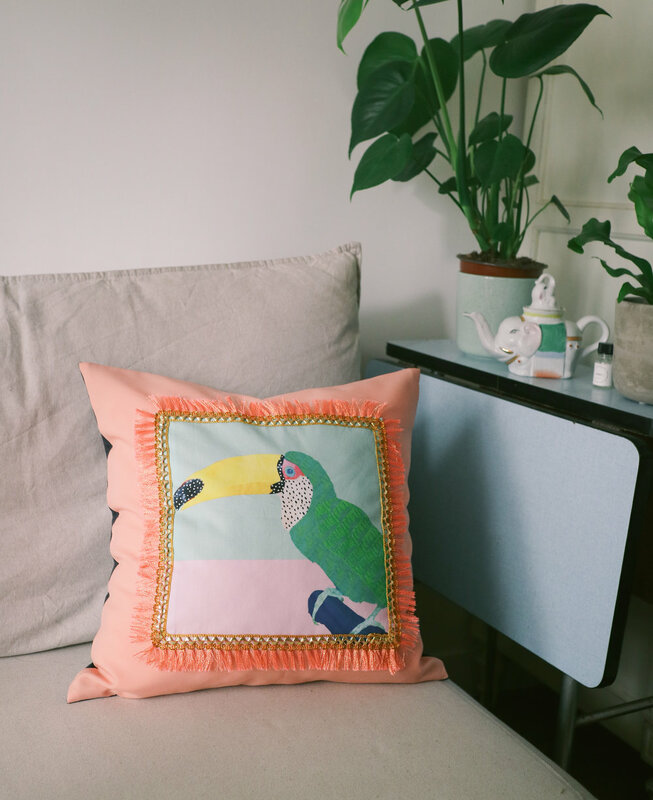 Statement cushions, with art surrounded by fun ribbons from India. Hand stitched individually with love. Once they find a home, they might never return.